Celebrate the rich cultural traditions and diversity of UNLV, Las Vegas, and the world. 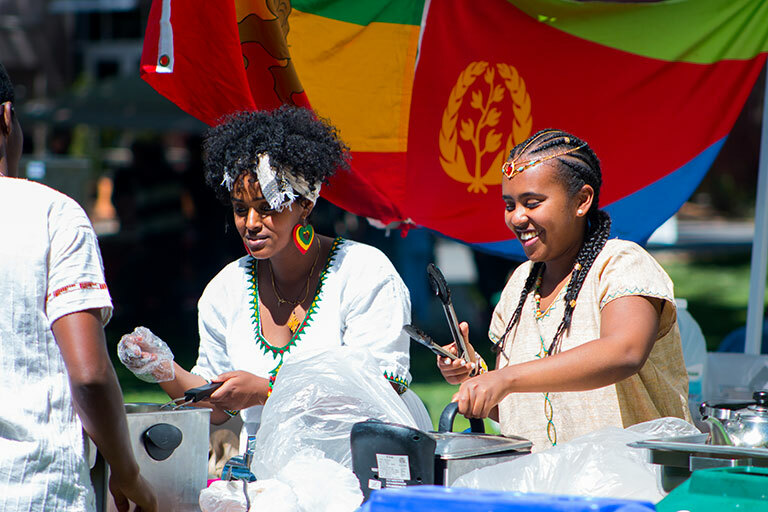 In 1987, a few international and multicultural student groups created Unity Fest by setting up booths to sell cultural food as a fundraiser for their respective organizations and to promote cultural awareness. Over time, the event grew from a few dozen booths and 1,000 participants to a celebration that features more than 50-100 booths and attracts more than 5,000 people. 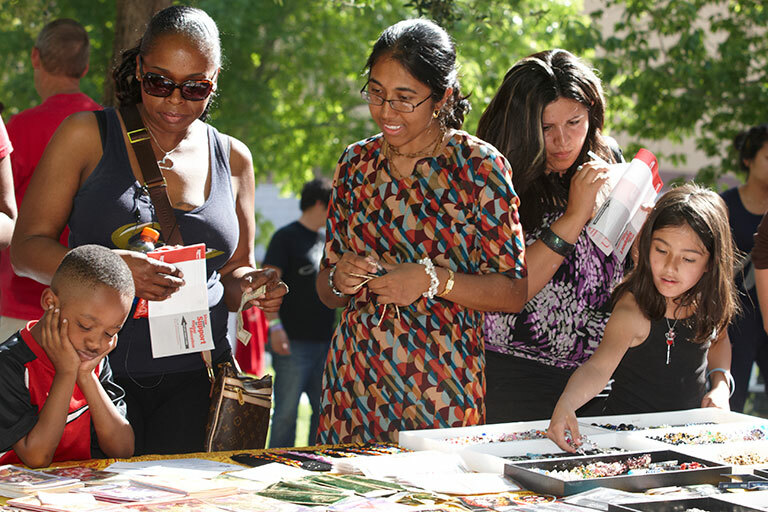 In the spring of 2007, the event was renamed to Festival of Communities and continues its mission to celebrate the rich cultural traditions and diversity of UNLV, Las Vegas, and the world. The festivities now include live entertainment, activities, craft vendors, and cultural food. 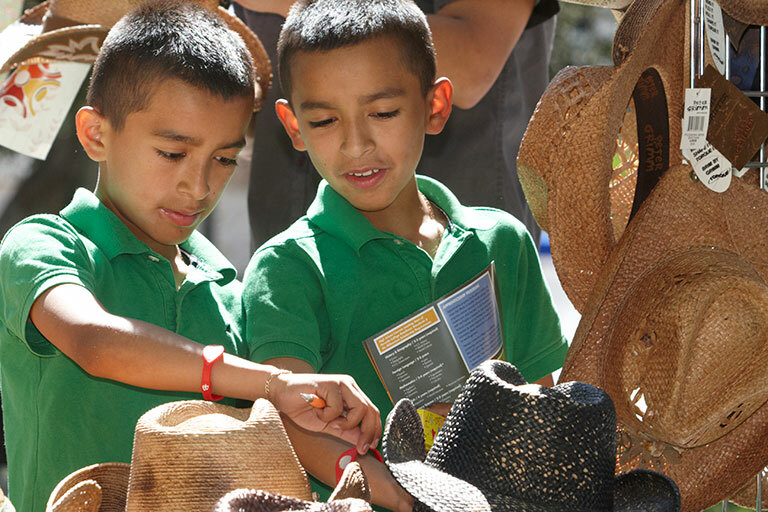 In a commitment to environmental justice, Festival of Communities strives to minimize unnecessary waste. All plates, cups and utensils provided at the event are biodegradable so please use the appropriate green composting bins for these items. This year, Festival of Communities joined with Rebel Preview in a greater effort to have prospective students share in the celebration of diversity and global awareness. Through sight, sound, and taste this year's festivities will take you around the world in one day! Remember to bring cash to purchase food and craft items. The Las Vegas community is full of resources and talented individuals. Visit a craft booth to purchase unique items including paintings, clothing, and home décor items. Informational booths are also available for you to learn more about community resources. Enjoy a cuisine from around the world. Food and drink vendors including baklava, (vegan) shish-kabobs, plum pudding, spam musubi, soul food, and much more. Have your name written in another language. Relax as your unique henna design is applied to your hand. 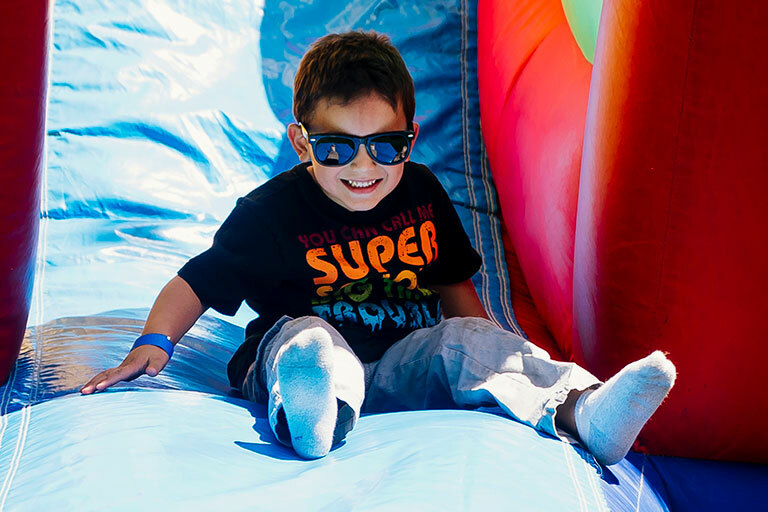 Or join the kids for face painting, bounce houses and other fun activities where kids of (most) all ages can run, jump, bounce, and play. Sit by the stage to enjoy performances that will captivate you. Various performances from professional Irish Spoon Dancing and Jig, Ballet Folklorico, Taiko drumming and more are often featured. Participate in a recycling challenge. Decorate your very own flower pot. Or simply visit booths to learn more about how to love the earth. 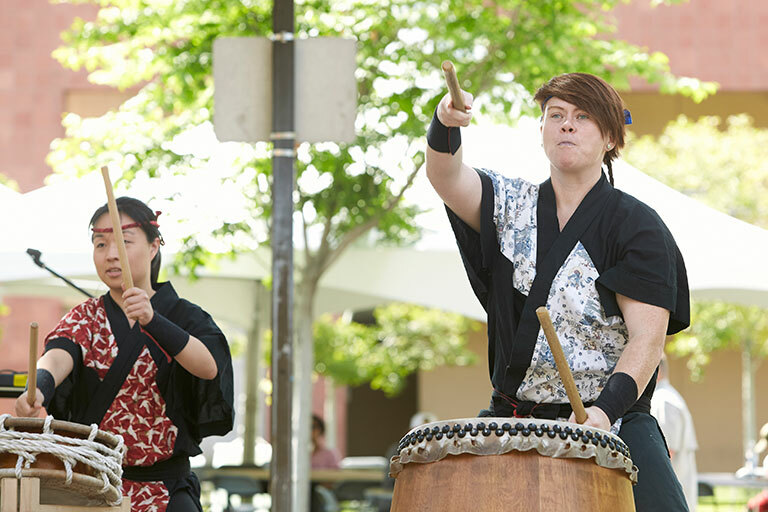 The Festival will take place on UNLV's main campus on the East Mall near the Student Union. Input UNLV's main address into your GPS for accurate driving directions: 4505 S. Maryland Pkwy, Las Vegas, NV 89154. Use Route 109 or Centennial Express at the Maryland/Harmon stop for the closest bus stop location. Please visit the Regional Transit Commission for additional information. Free parking is available for spaces marked staff or student. For convenience, attendees are encouraged to park in the southeast region of campus (Lot D, Lot U or Lot Z). Please see the UNLV campus map for additional information. Arrive early and receive a great parking spot. Enjoy a day outdoors helping our university during one of the largest events of the year. 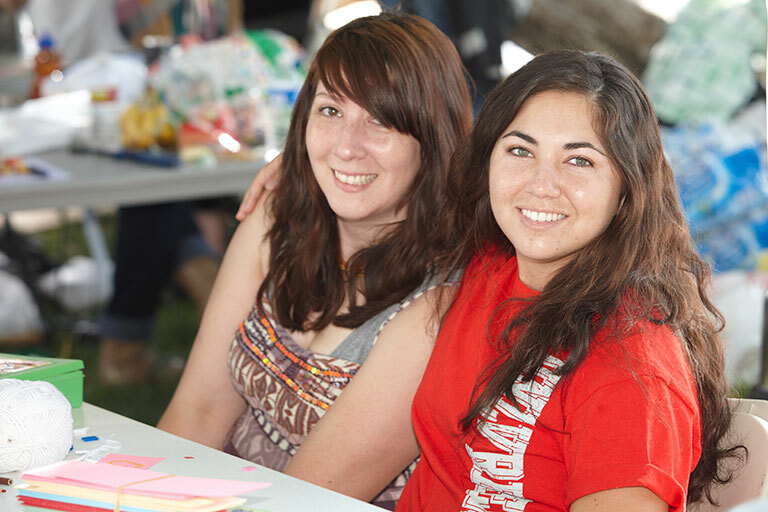 Individual UNLV students and staff can sign up to volunteer online. Organizations, classes, and offices registering as a group, must contact festivals@unlv.edu directly. Festival of Communities can only be successful with the help of students, student organizations and the community. Learn more about becoming a vendor by reading the Vendor Packet below. For more information about the festival, please contact us.